Whenever you want to recover deleted files in Windows 10, the best and risk-free way is to use a professional data recovery program. Here I want to recommend you try Bitwar Data Recovery. It is specially designed for Windows users to recover their lost or deleted files. 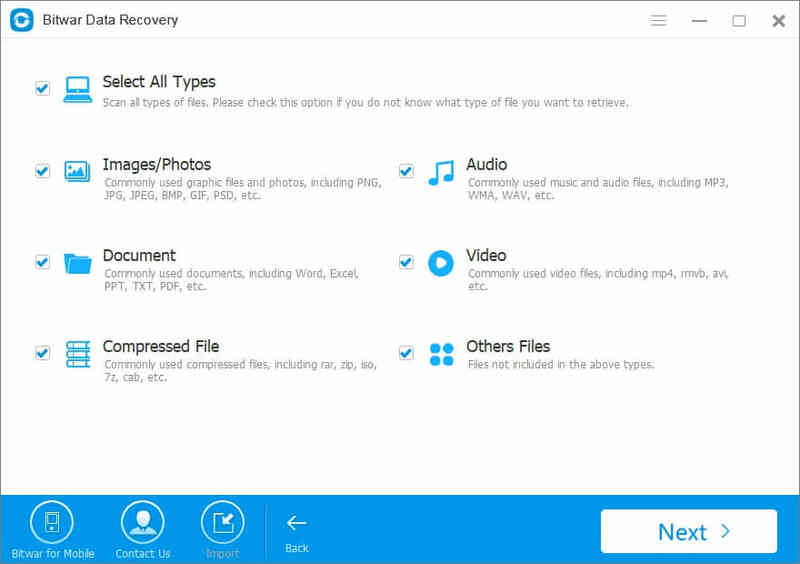 Compared with other Windows 10 data recovery software, this one allows you to recover permanently deleted files from recycle bin in 1-2 minutes. even you don’t know any techniques for data recovery. Bitwar Data recovery can supported all file types. By default, all file types are selected. You can uncheck the one you don’t need by uncheck it. Next, click "Start" . Step 3: Wait for the scanning process to complete. Then preview the found files.If you scan out a lot of data, you can filter by the file name, type, path, time in the left tree list. you also can export all scanning results to a specified place after scanning.